Some barn door installations require more than one door. When combined with one of our Stainless Steel Series barn door hardware sets and two tracks, our Stainless Steel Series bypass hardware system allows one door to pass in front of another. Bypass hardware can be used in several different configurations for 2, 3 or 4 doors when you either need to cover a wide doorway, or the adjacent wall is too narrow for a single, full-sized door. See our installation documents for example layouts. Stainless Steel Series bypass sets are made from solid stainless steel with a #4 brushed finish. 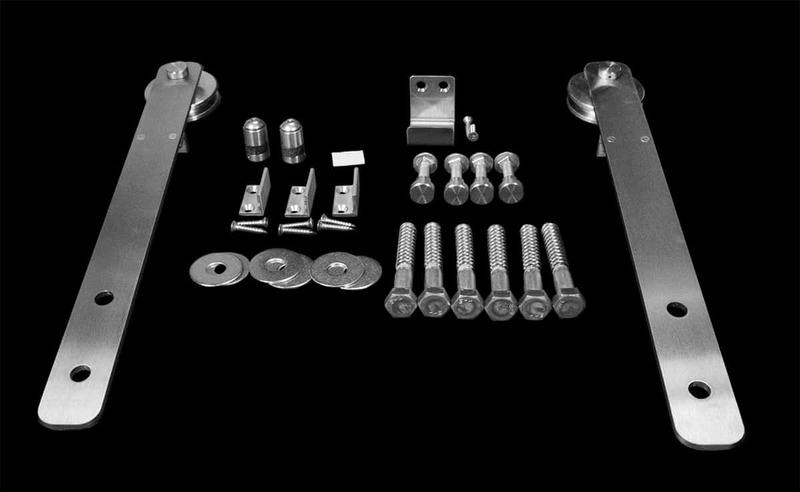 We also make bypass systems designed specifically for our Standard Series Series and Shutter Series barn door hardware.